Octavian is an experienced project manager with over 30 years of experience in the construction industry. He has been appointed as a delay expert on more than 25 occasions, including French language disputes, and has been cross-examined in arbitration. Octavian is trilingual (English, French, Romanian) completing his architectural degree in Romania, its equivalency in Belgium and a project management diploma in the UK. He has worked on a wide variety of project sites across Europe including high-rise offices, retail and residential buildings, a railway station, a prison and industrial plants. He is specialised in forensic delay and disruption analysis, resolution of time-related issues and uses various recognised analysis techniques based on the critical path of the project. One of the matters he worked on was referred for enforcement to the High Court Mr Justice Akenhead (Cantillon Limited –v- Urvasco Limited  EWHC 282 (TCC)). 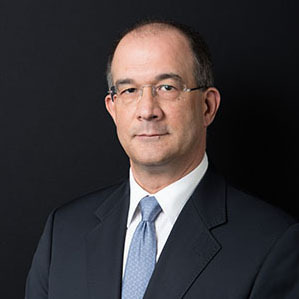 He has acted as expert in arbitrations and adjudications as well as providing independent assessments and monitoring, contractual and audit support and project management services across Europe, Africa, Asia and the Middle East. He has undertaken expert commissions for project disputes ranging from buildings, petrochemicals and offshore oil rigs to water treatment, ship building and telecommunications. Octavian is a respected expert in his field and clients consistently commend him for both the quality of his analysis and reporting, but also in his ability to work quickly to identify relevant details in a dispute and bring clarity to those who need to be able to present the facts in concise and robust manner. Octavian published articles in Construction Law Review and in International Construction Law Review. “Mr Dan criticised Urvasco’s programming evidence. Much of his criticism was upheld by the Adjudicator. The reply and supporting evidence was very substantial.” Mr. Justice Akenhead (in TCC Judgement on ‘Cantillon v Urvasco’).